Mohammed Bin Rashid City, an ambitious project, that envisages a new city inside Dubai, was announced towards the end of 2012 by the UAE Vice-President, Prime Minister and Ruler of Dubai His Highness Sheikh Mohammed bin Rashid Al Maktoum. Christened Mohammed Bin Rashid (MBR) City, this landmark development will comprise four key components and includes state-of-the-art leisure facilities in addition to providing an integrated environment for the development of entrepreneurship and innovation. 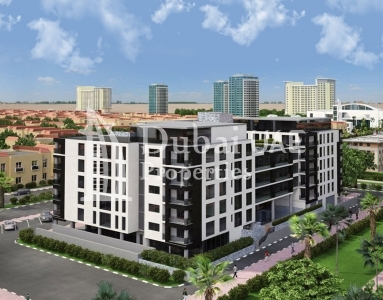 The estimated project cost for developing MBR City is Dh 30 billion. The first component of the project has set its sights on family tourism, beginning with a park big enough to receive an estimated 35 million visitors annually. Also on the cards is a world-class family center for leisure activities and entertainment, slated to be the biggest in the Middle East, Indian subcontinent and Africa. This centre will be set up in collaboration with Hollywood’s legendary Universal Studios and include over 100 hotel facilities to accommodate the needs of visitors from the region. Retail will be the focus of the second focus area for MBR City, beginning with the development of the largest shopping mall in the world. This will be followed by the largest area for arts galleries in the Mena region. The fourth component will concentrate on providing an integrated environment to bolster entrepreneurship and innovation in the region. Mohammed Bin Rashid City is scheduled to be completed in 2018-2019. The new city will be located between Emirates Road, Al Khail Road and Sheikh Zayed Road, and will include the Mohammed bin Rashid Gardens project. A proposed crossing - Cultural Crossing - will connect it to downtown Dubai and Business Bay, besides playing host to multiple art galleries, creating the largest area for arts in the region. A massive park, about 30 percent larger than London’s world famous Hyde Park is one of the biggest planned leisure attractions of MBR City. The park will be surrounded by - The Mall of the World – the world’s largest mall, fully capable to receive an estimated 80 million visitors annually. Accommodation will be provided by over 100 hotel facilities that form a part of the mall development. The Mall of the World will also be connected to the massive family entertainment centre being developed in tandem with Universal Studios International. This centre, expected to be the largest in the region, is expected to attract an estimated 6 million visitors each year. Designed in line with stringent global environmental standards, Mohammed Bin Rashid City will also feature a special zone to boost creativity, innovation and entrepreneurship. This integrated environment will target talents looking for a platform to support their projects and innovations across sectors, paving the way for a new economy based on knowledge, creativity and innovation. The new city will include residential areas built in sync with the latest green building standards in terms of energy usage, waste treatment and conservation of natural environment. It will also feature a number of golf courses under well-known international names. The new city project will be marketed as the biggest joint venture in real estate industry regionally. The Meydan Group and Sobha Group have created a joint venture – Meydan Sobha LLC FZ - to develop 45 million square feet of freehold land, into an exclusive destination of luxury villas surrounded by expansive green parks and inland lagoons, within MBR City. District One, is the first development within the new City and is situated less than 3km (a 10 minute drive) away from the iconic Burj Khalifa. 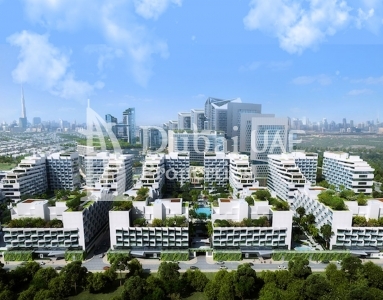 Set to be the closest freehold villa development to downtown Dubai, District One is possibly the only villa development of low density in such close proximity to the heart of any city globally. Built on-site, all villas here feature the latest features and amenities, besides spacious interiors. Buyers will also have the added luxury of choosing between 18 different villa configurations and styles. The project, which is being developed as a community of exclusive homes, will be delivered in four phases. Each phase will cover 1 million square metres (65 percent of which will be open spaces), creating 1030 acres of the lowest density, luxury residential environment possible. This will also include approx 600 hectares of open and green space divided into arboreal parks, serene crystal lagoons, green woodlands, a retail zone, a fun water park and 14 km of pristine man-made beaches. Soon to be the largest, most usable artificial inland body of fresh water in any residential project globally, the project includes a 7km stretch of fresh water lagoons and man-made beaches. The lagoon will offer residents the unique experience of living next to nearly 90 acres of turquoise water surrounded by a 3 meter wide boardwalk and an 8 meter wide beach accessible from any part of District One. Recreation activities here will include swimming in addition to a host of non-motorized water-sports. 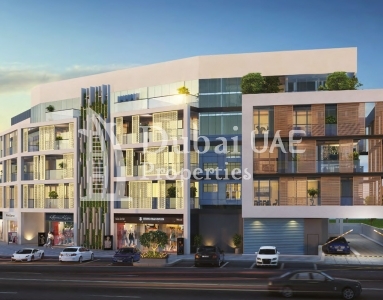 Dubai Hills Estate, a JV between Emaar and Meraas Holding, is part of the first phase of development of MBR City. It has been planned as a mixed-use development set around an 18-hole championship golf course. Spanning over 11 million sq metres (2700 acres), Dubai Hills Estate features vast stretches of elegant, landscaped parks and gardens, winding walkways, and large open areas. The Estate also includes an iconic commercial centre, high-end retail centers, as well as low-rise and mid-rise residences, hotels and serviced hotel apartments. Adding to the convenience of residents, are educational institutions, healthcare facilities and mosques. 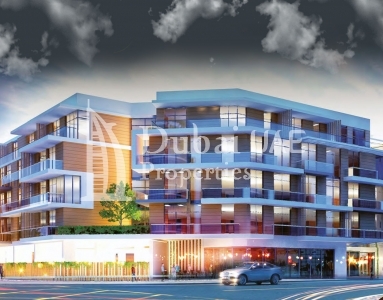 Set in the heart of Dubai Hills Estate, is Dubai Hills, a highly exclusive villa development. The spacious villas, ideal for families and entertaining, overlooking the championship golf course, are designed to redefine a new lifestyle for their residents. Residents of Dubai Hills will reside in close proximity to the high-end shopping promenade and fine dining restaurants, world-class hotels, healthcare facilities, educational institutions and a wide range of food & beverage outlets present inside Dubai Hills Estate. 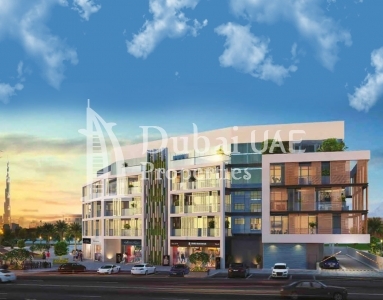 The gated Dubai Hills community offers residents the added reassurance of 24-hour security and maintenance. With major roads connecting Dubai Hills Estate to downtown Dubai, the airport and the other Emirates, residents are assured of excellent connectivity to destinations of their choice. Residents will also have access to the Etihad Rail and Dubai Metro lines which will border the development, enabling fast and easy connectivity. 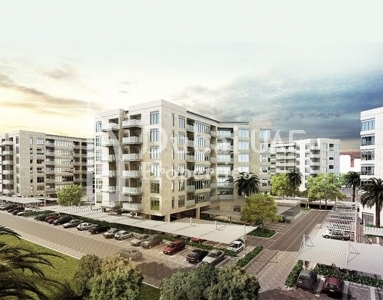 Dubai Hills Estate also plays host to Acacia at Park Heights, an inspiring apartment complex offering a choice between 479 elegantly designed one, two and three-bedroom apartments, ideal for individuals, couples and families alike. Designed to appeal to connoisseurs of premium living, the homes feature high level finishes and amenities like a first-of-its-kind elegantly designed common terrace areas overlooking a lush green park and easy access to the 18-hole championship golf course. Residents can enjoy a taste of varied outdoor lifestyle choices here that include a tennis academy, an outdoor pool, and separate tracks for jogging and cycling right at their doorstep. The project also features several world-class amenities including a shopping mall, hotels, schools, a multi-purpose hall, healthcare & fitness facilities with steam rooms and saunas, children’s play areas and large areas reserved for families. An elegant lobby with an open courtyard and water features welcomes guests to each apartment complex. The bedrooms and living rooms ensure abundant natural light during the day and relaxing outdoor views at night.